Ron Paul is putting hemp on the table, in the Industrial Hemp Farming Act of 2009, also called HR 1866. 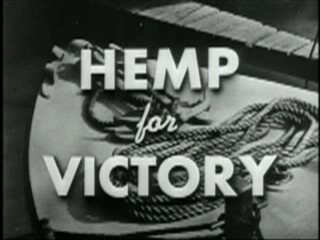 Currently, hemp can be imported from other countries and used to make products here in the United States, but while U.S. farming regulations technically allow for the growing of hemp by special permit, the restrictions imposed on the crop make growing it here technically impossible and financially nonviable. Restrictions on growing hemp in the U.S. are, in my humble opinion, simply stupid. And no, I’m not a pot smoker. I’m a U.S. citizen who is concerned about our economy, the current state of agriculture in the country, as well as energy, pesticide, and land usage. Hemp is easy to grow in many climates and in less than optimal soil, it requires less water to grow than cotton, is naturally pest resistant, and can be used for everything from food products to textiles. 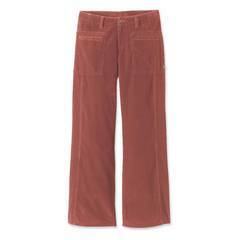 And, in the case of textiles, it produces a product that is superior in strength and durability when compared to cotton. And, contrary to popular misconception, industrial hemp would not produce a high even if you did smoke it. The levels of THC are minimal. So, no matter what your views on marijuana are, you should be pro-hemp. Unless, of course, you’re a lobbyist for the cotton industry . . . In support of this bill, I’ll be talking about hemp all week and highlighting wonderful products made from hemp. Stick around. Check out the article I wrote on hemp in 2007 for more information, and visit VoteHemp.com’s action page to learn about ways you can support HR 1866. You and I are SOOOOO in agreement on this. On the Pine Ridge rez a family went to the tribe to get permission to raise hemp. The seeds were tested, the planting was blessed and three years in a row, jerks from the government came in and tore up the crop. Land of the free my aunt fanny! (How’s that for an archaic prudish expression?). See this for more info. The White Plume family actually planted the hemp in response to a tribal act that legalized the growing of hemp. Yay!! I am on board. Would You Support a Grocery Bag Surcharge? The Carnivore’s Dilemma Is Big Green Bad? Are Cloth Diapers Worse Than Disposables? Cape Cod’s Offshore Wind Farm: Yay or Nay?